Doctor Who: Revisiting THE FEAST OF STEVEN | Warped Factor - Words in the Key of Geek. Dr. Moo drinks a toast to all of you at home. …instead of the latest part of an ongoing Dalek epic you got The Feast Of Steven. The Feast Of Steven couldn’t be more far removed from the larger story it’s a part of. The Daleks and Mavic Chen don’t even appear! 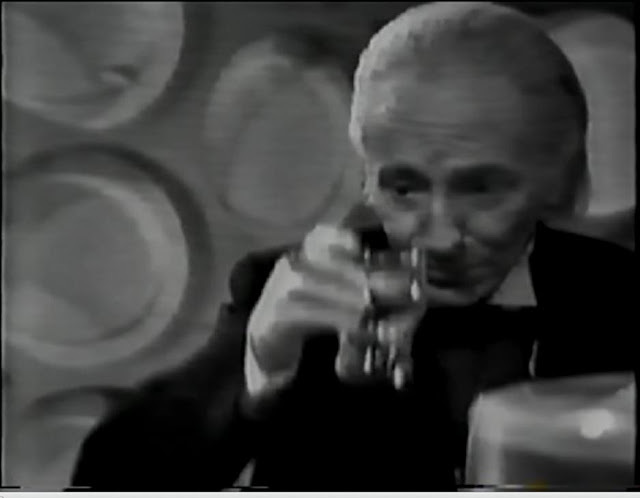 The closest you get is a brief reference in between the two segments where the Doctor mentions to Sara and Steven that they mustn’t let the Daleks get the Tarranium Core, but that’s all you get. It’s almost as if writer Terry Nation tacked it on at the last minute as a reminder to viewers that they haven’t dropped that storyline and it will continue next week. So what are those two segments? The first one is set in a police station and the second is a runaround in 1920s Hollywood. The police station bit is at least vaguely amusing. 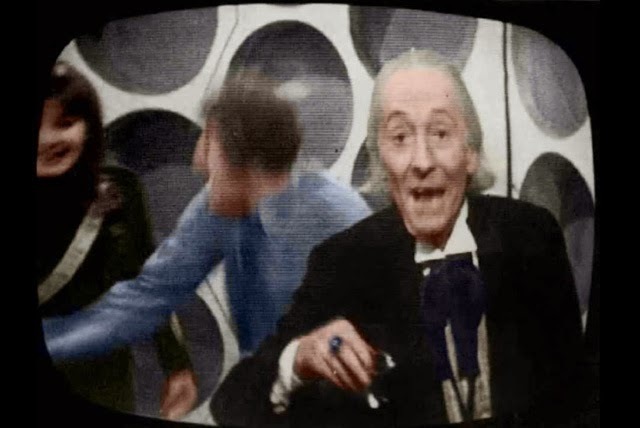 The police, quite understandably, don’t believe the Doctor’s story when he tries to tell them he lives inside the police box and the misunderstanding that results wouldn’t feel entirely out of place if the series tried it today. As the segment progresses the three TARDIS travellers find themselves having to negotiate their way back inside so the can get away from the police constabulary, en route giving a meta reference when the Doctor recognises someone because the actor who plays the character had played a role in the show before. The second segment however has virtually no discernible plot. It doesn’t help that there are lots of people shouting in the background, which I’m sure was perfectly fine to the original audience but for us watching with only telesnaps makes the plot nigh on impossible to follow. 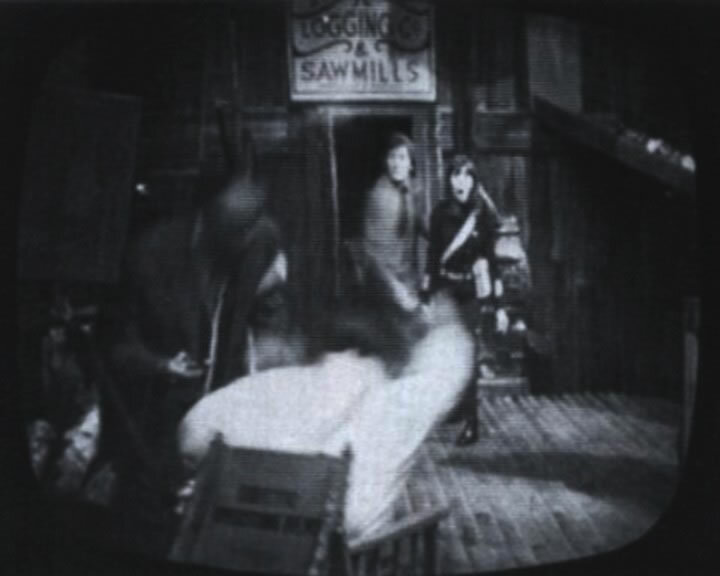 Then there’s a chase scene that’s totally incomprehensible, which happens to include the on-screen descriptions you’d get in the silent movies of old. 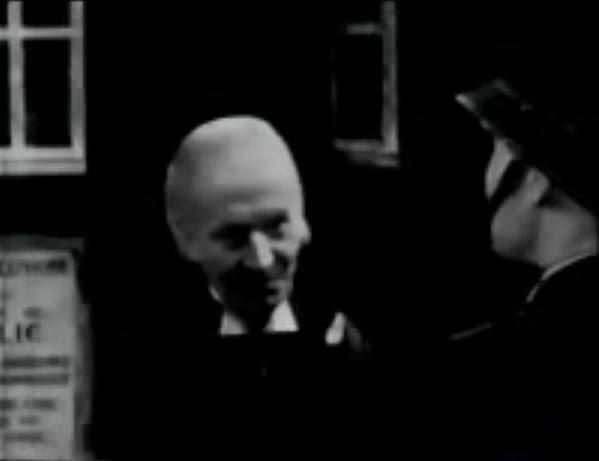 Plus, in among it all the Doctor meets Charlie Chaplin and Bing Crosby. It all makes about as much sense as it sounds. It’s bizarre but it was totally commonplace for 1960s television to do this so the original audience wouldn’t have found it nearly as odd as we do today. That said, while modern audiences would never appreciate it, it’s still a better Christmas Special than The End Of Time. Like many other early episodes of Doctor Who, the BBC either destroyed or wiped the original film/print, and, sadly, due to the broadcast schedules being different overseas no copies of The Feast Of Steven were ever sold abroad. 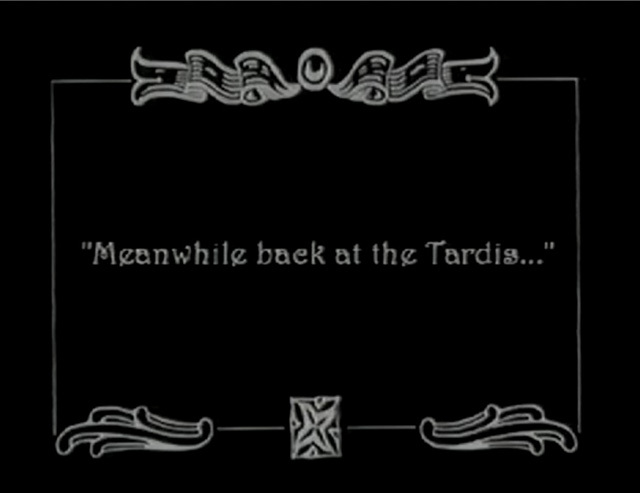 Thus of all the 97 episodes of Doctor Who that are currently missing this is the only one with no chance of rediscovery.